Anne Aspinall was born in 1949, and trained at Manchester College of Art & Design. She has exhibited widely throughout the UK and abroad and is represented in collections in Europe, the USA and Australia. The affection that Anne feels for her subjects is clear, and the work has a generosity and warmth that is extremely welcoming. Anne’s work is a personal response to the patterns and rhythms inherent in the landscape and the subtle changes of light and colour through the seasons. She has been profoundly influenced by the work of the Scottish painters William Gillies and Barbara Rae as well as the Catterline landscapes of Joan Eardley. 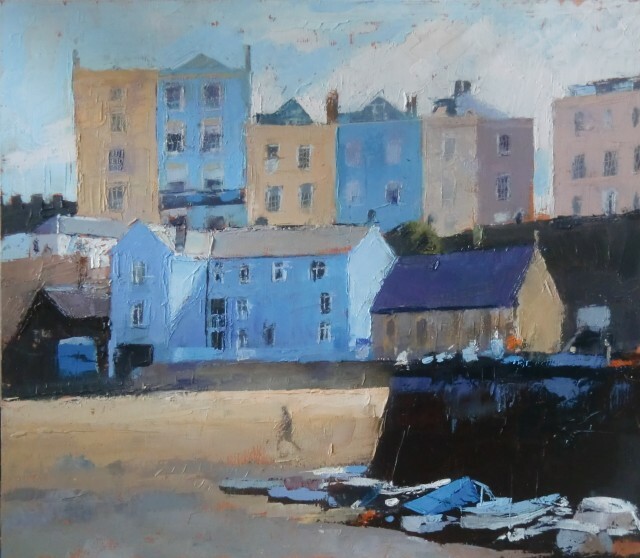 In addition to the intense colours of Morocco, her subject matter encompasses the hills and valleys of North Wales and the coastline around the British Isles. Anne Aspinall has had exhibitions with us in 2015, 2017 & 2018. She wil exhibit again in November 2019 to celebrate her 70th birthday.